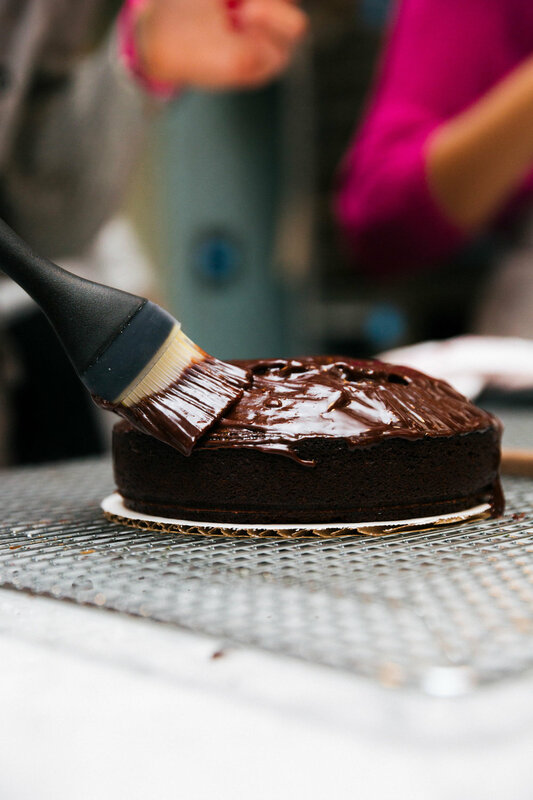 It’s been said that baking has multiple benefits, and we’re not just talking about the pleasure one gets from eating a delicious slice of cake! More importantly, baking has proven to be a form of mindfulness, self-expression, and altruism. With this in mind, and just in time for the holiday season, we invited 16 Bay Area lifestyle and culinary influencers to roll up their sleeves, relax, and join us at Bob’s Bakeshop—an interactive evening of baking, hosted by Bob’s Red Mill. With a range of natural, high quality products, from flours and meals, to oats, grains and seeds, we brought the best of Bob’s Red Mill to life through this immersive, hands-on event. The primary goal was to showcase the variety and quality of Bob’s Red Mill products and put them front of mind for festive recipes and holiday baking. Through targeted influencer outreach and experiential design & production, we helped them achieve their goals. We kicked off the evening with welcome drinks and some baking education. Guests learned all about the psychological benefits of baking, and met our surprise baking hosts—three local influencers, all of whom had a baking recipe to teach the group. Leading the first baking station was author, chef and speaker My Nguyen, who chose a fool-proof recipe that’s easy for anyone to make, no matter their baking experience. My guided guests step by step as she made her Chocolate Chip Oatmeal Cookies, packed full of Bob’s Red Mill rolled oats. Meanwhile, chef and recipe developer Daniela Gerson put a holiday twist on an all-time classic, with a Spiced Wine Chocolate Cake at baking station number two. Guests recreated her decadent dessert, which featured Bob’s Red Mill all-purpose flour and baking soda and topped with silky chocolate ganache and flakey sea salt. Finally, over at the third station, recipe developer and food photographer Hetal Vasavada prepared Almond and Cardamom Scottish Shortbread with her group of eager guests. A recipe close to her heart—inspired by rainy afternoons with her mother, when they’d treat themselves to hot cups of chai and shortbread by the fire—Hetal’s recipe showed influencers how to be creative with Bob’s Red Mill almond meal. Feeling generous after an evening of baking, we kicked off Thanksgiving a little early, inviting guests to share the baking love. Influencers boxed up their sweet goods for a friend or family member for whom they’re thankful. They decorated their box with colorful ribbons and embellishments, and wrote a handwritten note to that special person. The next day, we hand-delivered the boxed treats to the lucky recipients! Interested in bringing your brand to life through an influencer event? Say hello—we’d love to chat!